Watermelon hydrates while Aloe calms for soothed skin. Water/Aqua/Eau, Glycerin, Sodium Hydroxypropyl Starch Phosphate, Hydroxypropyl Bis-Hydroxyethyldimonium Chloride, Cucumis Melo (Melon) Fruit Extract, Citrullus lanatus (Watermelon) Fruit Extract, Fragaria Vesca (Strawberry) Fruit Extract, Aloe Barbadensis Leaf Juice, Xanthan Gum, Leuconostoc/Radish Root Ferment Filtrate, Disodium EDTA, Diazolidinyl Urea, Iodopropynyl Butylcarbamate, Fragrance (Parfum), Red 40 (CI 16035), Red 33 (CI 17200). 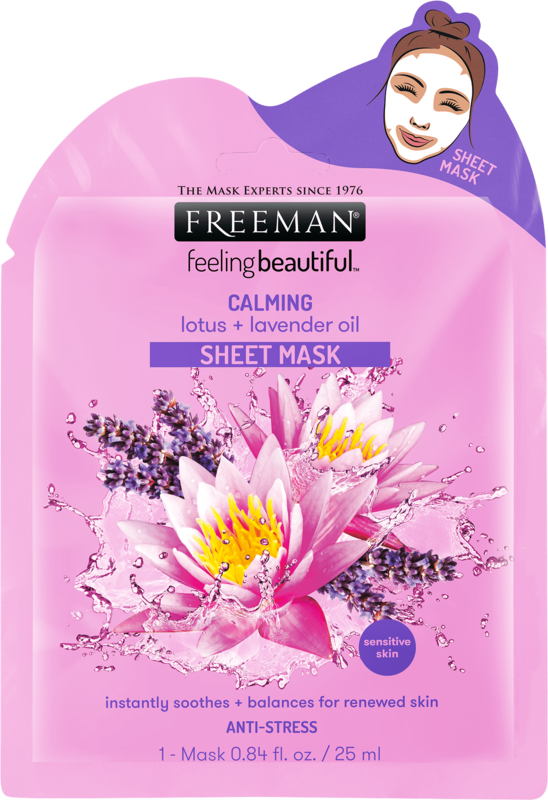 These @freemanbeauty face masks are giving me life! The Watermelon+Aloe mask is my newest favorite. The smell alone is worth it. Leaves my skin feeling so good! Today I picked up the other two, the Cactus+Cloudberry and the Glacier Water+Pink Peony. These facial masks are super affordable and do the job! I haven’t bought one I didn’t enjoy!